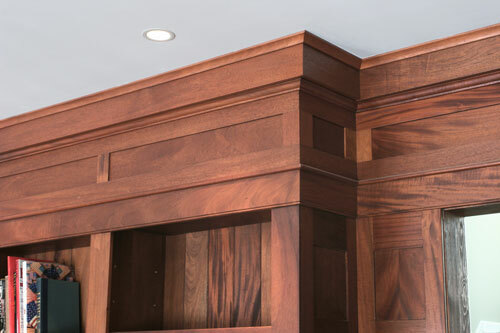 Made with sliding dovetail construction, this incredible library has paneled header crown molding. It has an English Chestnut stain with Tung Oil finish. There are adjustable shelves. Handmade bead board backs and flat panels in entryway. English Chestnut stain with Oil. 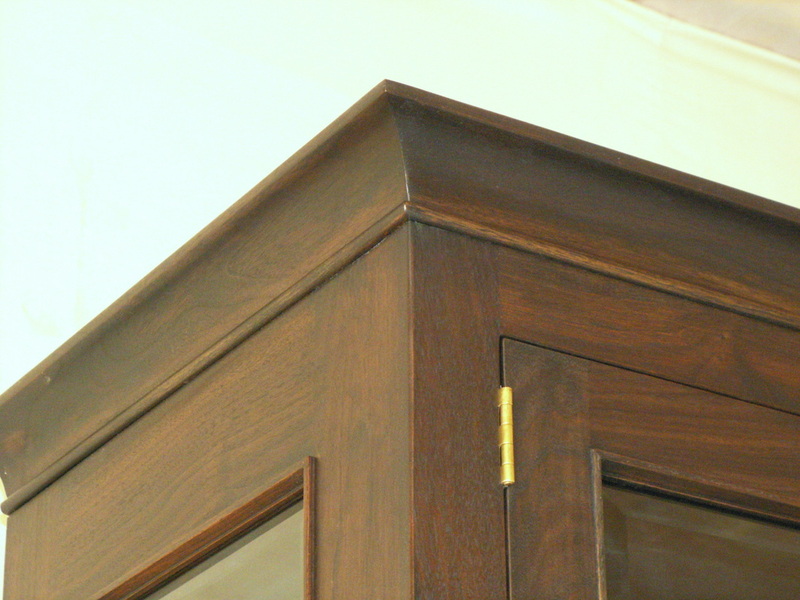 Handplaning and traditional joinery methods used to create this piece. Beautiful kitchen made from Natural Cherry with Tung Oil. Raised panel doors and custom shutters. Custom island and handmade cabinets accent this post and beam home beautifully. Adjustable shelves. Made from Black Walnut with Ebony Stain and Tung Oil. Two adjustable shelves on top and one on the bottom. Solid Brass shelf clips. 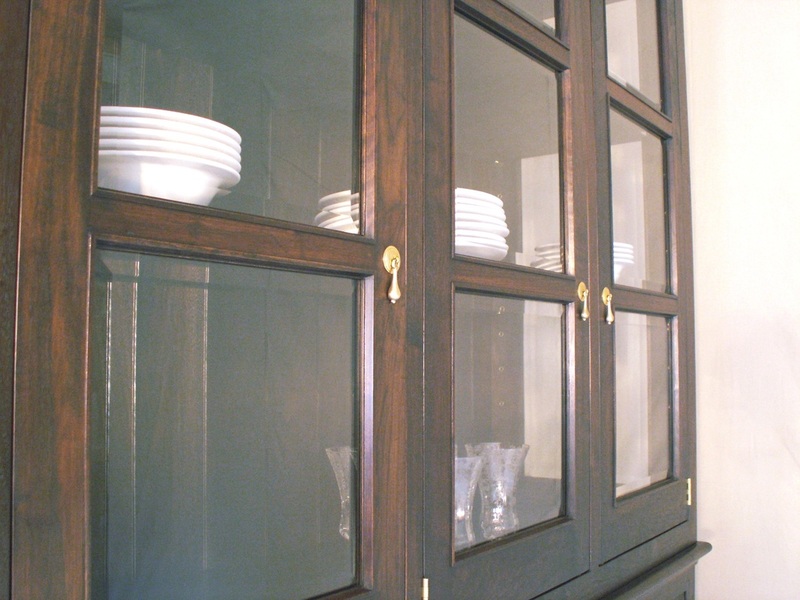 There are three glass doors on top, three raised panel doors on the bottom, and three hand cut dovetail drawers. Height 87", Width 60", Depth 20"
This beautiful built in Cherry Jewelry Cabinet is almost 3 1/2' wide by almost 5'tall. There are several coats of Tung oil applied. It is still in the process of being made, but you can see the wonderful grain patterns. This piece will darken and become more rich in color and character as the piece ages. Usually Cherry has come to it's full color after 6 months. Sun will speed up the process.